Looking for a highly innovative MBA that meets the current needs of the job market and it’s distinctive. The Executive MBA of Católica Porto Business Schoolo is the right bet. 7. Soft Skills development programme. The Business Club is composed of 17 companies that ensure study visits, contact sessions with their CEOs, participate in the MBA Advisory Council, participate in seminars and provide case studies that support the projects of part of the modules. Individual meetings with the Executive MBA Coordination, where you can choose the time that is most convenient for you - from 9:00 a.m. to 8:00 p.m. The Executive MBA of Católica Porto Business School is the right bet. Católica Porto Business School is pleased to invite you to the seminar "International Marketing Strategies", which will take place on April 8, at 6:30 pm in the Américo Amorim Building. apr 2 - Cycle of Conferences "Ethics, Economy and Society - Living in the Earth: Caring for the Common Future"
The Cycle of Conferences "Ethics, Economy and Society" promotes critical and informed debates on topics of social relevance in the areas of economics and ethics, in permanent dialogue with other areas of the social and human sciences. The 7th conference is entitled "Living in the Earth: Caring for the Common Future" and is attended by Professor Luisa Schmidt of the Institute of Social Sciences of the University of Lisbon who will speak to us about "Socio-environmental justice and narratives of change" and also by Professor Alexandra Leitão da Católica Porto Business School who will tell us about "Rethinking the Economy in a Circular Way". The discussion will be moderated by Professor Rui Vieira da Cunha. The Conference will take place on April 2, 2019, in Room 003 of the Américo Amorim Building (Catholic Business School), between 18:00 and 20:00. Please be there! An intimate meeting between Miguel Araújo, musician, composer and manager, and Tiago Correia, innovation manager in music. Alumni Talks is an event of sharing (im)probable paths of alumni of Católica Porto Business School. A meeting place for the entire Alumni community. 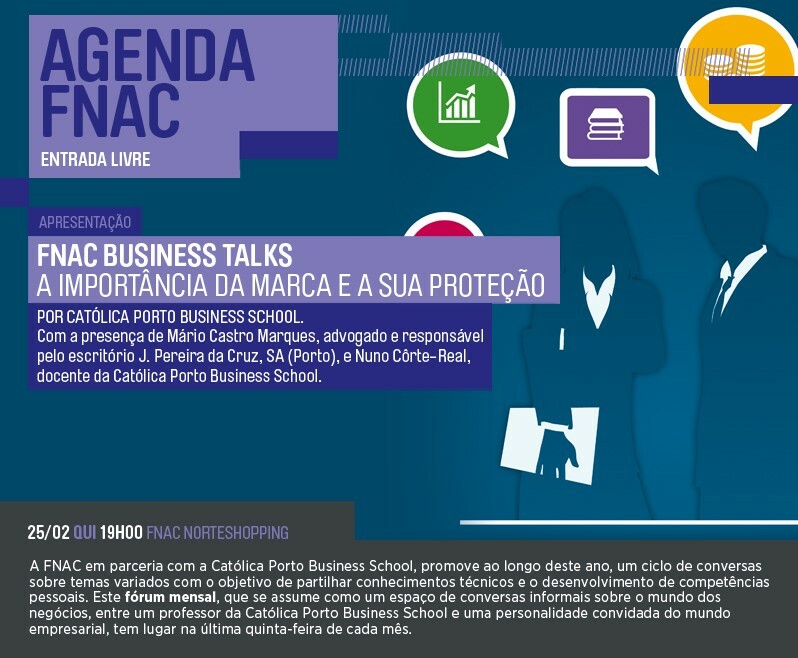 This is an exclusive event for alumni of Católica Porto Business School. The Executive MBA of Católica Porto Business School is the right bet. Invista em si! Within the scope of the Business Ethics Programme, Católica Porto Business School is pleased to invite you to an Open Class, which will take place on March 14 at 6:30 pm, at the Américo Amorim Building. Ethics is a necessary condition for the future of any organization. The increasing scrutiny of companies and the demands of consumers makes it imperative to invest in this area which is a key element of reputation. Therefore, we have developed a Program with a global approach to support managers in the exercise of their ethical leadership, in promoting culture in their organization and in the development of management tools and mechanisms in this area. Make your registration here for the open class. Looking for a highly innovative MBA that meets the current needs of the job market and it’s distinctive? Clube de Empresas is made up of 17 companies that will secure study visits, contact sessions with CEOs, participation in the MBA’s Advisory Board, participation in seminars and supply of case studies to support the projects of some of the programme’s modules. Individual meetings with the Executive MBA Coordinator, where you can choose the most convenient time for you - between 9h00am to 8h00pm. Mar 12 - Seminar "Superbock Arena - Impact on tourism destination strategy"
In the scope of the Post-Graduation in Hospitality Management, Católica Porto Business School has the pleasure to invite to the seminar "Superbock Arena - Impact on the destination's tourism strategy", which will take place on March 12 at 6:30 p.m., in Católica Porto Business School. Feb 21 - Seminar "What next? Marketing and Disruption: A Brave New World"
Católica Porto Business School is pleased to invite you to the seminar "What next? Marketing and Disruption. A Brave New World" which will take place on February 21, at 6:30 p.m. in the Américo Amorim Building. 6h40pm What next? Marketing and Disruption. A Brave New World. To know more about this event, please click here. COME TO MEET THE NEW EXECUTIVE MBA OF CATÓLICA PORTO BUSINESS SCHOOL. COME TO MEET PG HEALTHCARE MANAGEMENT. Católica Porto Business Alumni and Católica Porto Business School are pleased to invite you to the "Alumni Abroad: Sharing Experiences" on December 21st, at 6:00 p.m., at Edifício Paraíso (Foz campus). Bringing together former students who are working abroad and in Portugal, we are sure that this meeting will be an important moment of interaction and sharing of experiences. Business representatives evaluate the finalists of the Economics and Management degrees. On December 17th, the finalists of Economics and Management degrees present their final works for company representatives. This session takes place within the scope of the Final Project Project and Business Plan disciplines that promote the development of autonomy, oral communication and critical thinking skills, as well as the mobilization and consolidation of technical knowledge acquired during the Degree. The Multidisciplinary Project Closing Session II will be held on December 15th, where the best presentations of the semester will be evaluated by a jury composed of 8 representatives of companies and other organizations: BNP Paribas Factor, Bosch Security Systems, Cotesi, Hays, Lucios Real Estate, People and Systems and Share. The discipline of PMII is part of the trilogy of courses in Economics and Management Project, which aim to promote the development of transversal competences, with a threefold objective of promoting the development of teamwork and oral communication skills of students , while mobilizing technical expertise in preparing a written report and an oral presentation. Dec 13 - Seminar "Automation and Unemployment: solutions"
Católica Porto Business School is pleased to invite you to the Seminar "Automation and Unemployment: solutions" that will take place on December 13th, at 6:30 p.m. What opportunities exist in the threat of automation? What jobs can we create? How to prepare companies and people for this challenge? Can the Fashion Industry be one of the biggest examples of local and global disruption? Is fashion part of a circular economy? Francesca Giobbi, renowned stylist, business woman, motivational speaker and founder of the Fashion for Better movement, with experience in the global fashion industry, she worked for 27 years in the commercial, productive and marketing areas. With portfolio of major brands: Versace, Prada, Gucci, Armani, Sergio Rossi, Donna Karan and Jil Sander. As well as distinguished celebrities: Gisele Bündchen, Björk, Naomi Campbell, Paris Hilton, Penelope Cruz among other lovers of their unique and innovative collections! On December 11th, will take place the final presentations of Multidisciplinary Project II (PMII). Throughout the semester, the 240 PMII students developed an analysis of textile manufacturing. This is one of the three subjects of Project Design of Católica Porto Business School that aim to promote the development of skills of teamwork and oral communication of the students, while mobilizing technical skills in the preparation of a written report and an oral presentation. These presentations will be evaluated by two teachers of the discipline, a guest teacher and a representative of People and Systems. Católica Porto Business School is pleased to announce that the 4th Meeting of Old Students in London will take place on December 7 at 6:00 p.m. The meeting will take place at YorK & Albany Restaurant (127-129 Parkway, Primrose Hill, London NW1 7PS) and it has a cost of £45 per person. If you are living in the UK or simply visiting London on this date, we will be delighted to welcome you to this event. Nov 22 - Seminar "The importance of business associations in promoting the internationalization of companies and national brands"
Católica Porto Business School is pleased to invite you to the seminar "The importance of business associations in promoting the internationalization of companies and national brands" that will take place on November 22nd at 6:30 p.m., in Edifício Paraíso. Nov 19 - Conference "Ethics in work: Portugal 2018"
Workers' views are a key indicator of the ethical climate of any organization and many use surveys to understand their organizational culture. What if we compare this view with the workers of the country? And with workers from other countries? 9:45 a.m | What do Europeans employees think of ethics in the workplace? 10:15 a.m | What do Portuguese employees think of ethics in the workplace? Católica Porto Business School is pleased to invite you to the "25 Years of Marketing in an Age of Change" Conference, which will take place on November 14th at 6:00 p.m., at Carvalho Guerra Auditorium. This conference fits into the launch of the new edition of Mercator book. The book "Mercator 25 Anos - Marketing in the Digital Era", an edition that celebrates 25 years of the launching of the 1st edition of Mercator book in Portugal, has new chapters and new cases. Católica Porto Business School and LEAD.Lab are pleased to invite you to the seminar "What leader am I? 360º evaluation - self-knowledge for leadership development ", which will take place on November 8th, at 6:30 pm, at Carvalho Guerra Auditorium. Is leadership innate or learned? The debate is bottomless. But the research is clear: a significant portion can be learned. Almost everyone knows people who have become better leaders. An essential step in the process of developing leadership is self-knowledge - self-awareness of one's strengths and weaknesses. Aware of its qualities, the leader is better able to embrace relevant challenges. Aware of its limitations, it identifies the areas in which it needs to improve and surrounds itself with people who overcome its frailties. This seminar discusses the importance of tools for self-knowledge and development, namely 360º evaluations. And it exposes one of these tools: "My leadership". 6:35p.m. - "What leader am I? 360º assessment - self-knowledge for leadership development "
The seminar has a cost of 15 euros. Participants receive a copy of the book "Which leader am I?" Exclusive session for Executive Education students of Católica Porto Business School. Because we know that State Budget raises many questions, we organize for our current Executive Education Students a reflection session on this subject, which will take place on November 7, at 6:30 pm in the Américo Amorim Building. 1. What are the main fiscal policy measures of OE 2019? 2. Is it an electoral budget or not? 3. Is it based on a realistic macroeconomic scenario? 4. Is it family friend or not, and less friend of the companies? This session will be promoted by Francisca Guedes de Oliveira, Associate Dean of Católica Porto Business School. Católica Porto Business School is pleased to invite you to launch the book "The Business Case Roadmap - from the idea to the business case", which will take place on October 29 at 6:30pm in Carvalho Guerra Auditorium. The seminar costs € 16.00 and participants receive a copy of the book "The Business Case Roadmap - from the idea to the business case". This amount already includes 10% off the book value. Oct 27 - Social Europe "The hypothesis of an unconditional basic income"
Places available are limited. We will accept registrations in order of arrival. Católica Porto Business Alumni and Católica Porto Business School are pleased to invite you to the Annual Alumni Dinner, which will take place on October 13th at 6:30 pm at Católica Porto Business School. It will be a time to honor those who complete 10, 20 and 25 years of school, to meet friends, to review colleagues and teachers and to return to university. Take the challenge and join us at this Back to University! We are preparing an informal meeting and your presence will be important. Help us spread the word with your colleagues and friends. All participants must register by clicking here. Dinner will cost € 20 per person if the registration is made until July 31 and € 30 after that date. We count with your presence. Accept this challenge! Check out the photos and video of last year's dinner and join the private Facebook group to keep up with all the news. Oct 10 - Seminar "The fashion business model: a three-dimensional strategic pattern to start-up a company and create value beyond competition"
Católica Porto Business School, in partnership with Polimoda, has the pleasure of inviting you to the seminar " The fashion business model: a three-dimensional strategic pattern to start-up a company and create value beyond competition" that will take place on the 10th of October, at 6:30 pm in Arts Building EA226. In this seminar, the speaker will present and discuss the ways in which brands can adopt a holistic, flexible approach to creating products, building a brand identity and appealing to consumers. He explains that due to the chaotic nature of today’s fashion industry, a 3D business model is critical to the success of a brand. Director of Polimoda, is specialised in creative direction and brand architecture. Holding an academic background in politics and a Master in Luxury Management from Polimoda, Mr Venturi has developed an interdisciplinary career across music, e-commerce, retail concepts, luxury and writing, and indeed authored Luxury Hackers (2011) and Momenting the Memento (2014). He was the Head of the Business Department at Polimoda before assuming his current role in 2016. Next October 1st, at 6.30 pm, Católica Porto Business School will celebrate the beginning of 2018/19 academic year with an opening lecture at Ilídio Pinho Auditorium. For this event, Sofia Salgado Pinto, Dean of Católica Porto Business School, has invited Vasco de Mello, Chairman and CEO of the José de Mello Group and president of Amélia de Mello Foundation. At the end of the lecture a coffee-break will be offered at the Bar das Artes. Subsequently, students will be distributed by classrooms, where they will begin the classes of each Master Programme. The new Executive MBA from Católica Porto Business School is the right bet. Associate Dean of Católica Porto Business School and MBA Director. jun 28 - Conference "Is the digital killing the brands?" "Is the digital killing the brands?" jun 26 - Seminar "Advertising and Fashion: building the time spirit"
6h40pm "Advertising and Fashion: building the time spirit"
5h10pm Why should all companies become data driven? The MBA Atlântico allows a real immersion in each of three Portuguese-speaking countries: Portugal, Angola and Brazil, knowing in loco their economic and social realities. • and scholarship to the best candidates. Sign up here by choosing the most convenient date and location. The "Markets and Policy Douro Meeting" is a joint initiative between FEP (School of Economics and Management, University of Porto), Católica Porto Business School (Católica University) and the School of Economics and Management of the University of Minho, through their 3 respective research centres: cef.up, CEGE and NIPE. It will take place at Católica Porto Business School, on the 15th June 2018 (Américo Amorim Building, Room EAA 003). We aim at bringing together national and international scholars doing theoretical and applied research on markets and related policies. The meeting covers a wide range of themes, including (but not limited to) Industrial Organization, Competition Policy, Regulation, Microeconomic Theory, Applied Game Theory, Quantitative Management, Media Economics, Health Economics, Energy Economics, Law and Economics, among others. A preliminary programme can be found here. If you would like to attend, please send an e-mail to marketspolicydouromeeting@gmail.com. Note that there is a limited number of available places, which will be filled on a first-come-first-serve basis. If you are in the city on this date and would like to participate in this meeting sign up here. Are you a high school student? Is the university already on your horizon? We want you to make the right decision! Come to meet our Undergraduate Programmes at Católica Porto Business School. Is your child in a stage where the decision of the degree and university to choose is crucial for their future? Come and visit Católica Porto Business School. 6h30pm - Coffee Break If you consider it's appropriate, we thank you for the dissemination of this event to your contacts who may be interested. Share this event with your friends who might be interested! Católica Porto Business School, AEP and Miranda & Associates are pleased to invite you to the Conference "Internationalization vs. Export: Risks and Challenges - a legal, business and academic perspective" that will take place on May 10 at 8:30 am at Católica main building. For the first time, Mentor and Mentee as Keynote Speakers at the same session. Mentors & Mentees Get Together Session is the exclusive annual meeting of the Mentoring Program, which brings together mentors and mentees from all editions of the programme. This event is exclusive to Master's student. • How can we ensure that our go-to-market strategy meets the current needs of our business model, channels and customers? • What steps can we take to improve the alignment and integration between the various business functions? • How can we negotiate to create value in the customer relationship and maximize sales? • How can we define a marketing plan capable of supporting an effective go-to-market strategy? The session will be energized by Ana Côrte-Real - Scientific Coordinator of the Marketing Area. 7. Soft Skills development program. DIGITAL TRANSFORMATION - TECHNOLOGY OR STRATEGY? apr 12 - Seminar / Book Release "Management by Objectives"
Católica Porto Business School and LEAD.Lab are pleased to invite you to the "Management by Objectives" seminar, which will take place on April 12 at 6:30 pm in the Américo Amorim Building. 6h35pm - Management by Objectives: yes or no? The seminar has a cost of 15 euros. Participants receive a copy of the book "Management by objectives: guides for reflection and action". Authors: Arménio Rego, Camilo Valverde, Eduardo Oliveira and Miguel Pina e Cunha. apr 11 - Conference "Replacing distribution at the center of the debate - A discussion on Political Economy"
The Conference Cycle "Ethics, Economics and Society" aims to promote critical and informed debates on topics of social relevance in the areas of economics and ethics, in permanent dialogue with other areas of social and human sciences. The fifth conference, whose theme is "Replace distribution at the center of the debate", will take place on April 11th, 2018, in Room 002 of the Américo Amorim Building (Católica Porto Business School), from 6:00pm to 7:45pm. For any additional information visit the blog or the facebook page of the group. Seminar "Blockchain and the Digitization Society"
Master in Informatics and Computer Engineering from IST. Harvard alumnus with a degree in the Advanced Management Program, Harvard Business School, executive training in Strategic Banking Management from INSEAD, and Strategic Marketing from the London School of Economics. His career began in 1994 in the investment banking sector, having assumed management positions in the management of technology in an international investment bank as well as in a national banking group. At BiG he is responsible for Information Technology, R & D and Operations. Assistant Professor of Finance at Católica Porto Business School, Guest Professor at the School of Economics and Finance, Queen Mary University of London, and Guest Researcher at the Research Group of Economic Analysis (University of Vigo). His research interests include asset management, asset valuation, uncertainty in financial markets, risk management, volatility and correlation risks, with a focus on forecasting returns, derivatives, trading strategies and hedge funds. Gonçalo Faria was a Guest Researcher at the Finance Department of the Imperial College Business School (London). - Know digital platforms and media. The Post-Graduation in Hospitality Management goes beyond a static approach to the subjects and the sector in order to set out the needs and trends of a highly dynamic and demanding industry – from the project’s design stage to the decisive phase of customer loyalty. This Post-graduation seeks to provide an integrated view of the economic and business world, to make the legal expert familiar with the realities of the business world and to foster the creation of new job opportunities in traditionally closed or poorly permeable to areas jurists. The new legislation on "Prevention of Harassment" (Law no. 73/2017 of 16th August), which entered into force on 1 October 2017, promoted amendments to the General Labor Law which establish new legal obligations for all companies with more than seven employees, which require the attention of all those who carry out leadership and people management functions. To this end, ACEGE and Católica Porto Business School, in partnership with AEP, the Portal VER and EDP invite you to the seminar "The impact on companies of the new legislation on harassment", which will take place on January 31st, at 5:00 pm., at the EA226 Auditorium of Catholic Porto. The purpose of this seminar is to help inform business leaders about this new legislation, both in terms of its framework and its legal and organizational issues. 6h30 pm - How to promote your application? The Post-graduation in Healthcare Managementis an advanced training programme, which combines the acquisition and development of skills in key areas of management with a thorough understanding of the specifics of the health sector and its institutions, thus allowing participants to understand the context in which they live, play different roles, and as decision-makers to take strategic positions leading to greater efficiency, effectiveness and quality of health services. Attending the Post-graduationin Healthcare Management enables participants with knowledge to a more effective, efficient management, quality and safety, in line with national strategies and policies established for the sector. The Post graduation Diploma in Management in Health meets in its curriculum the items required by the Competence in Health Services Management of the Medical Association. Jul 12 - Seminar "Three ethical trends that will definitely shape business in the 21st century"
Piet Naudé is Professor of Ethics and Director of the University of Stellenbosch Business School. USB is a triple accredited, leading school on the African continent. Piet holds an MA in Philosophy and Doctor’s degree in Theology from Stellenbosch University. He has published more than 80 scientific papers and regularly speaks at academic and business conferences on issues of ethics and governance. He has received a number of national and international academic awards, including a Human Sciences Research Council award to the University of Utrecht (The Netherlands), an Alexander von Humboldt visiting professorship to the University of Heidelberg (Germany), and life membership of the Centre for Theological Enquiry at Princeton University (USA). This seminar will be entirely conducted in English. Católica Porto Business School has the pleasure of inviting you to the workshop "Scaling together: The importance of collaboration in building Porto's digital ecosystem" that will take place on the 10th of April, at 6h15 pm in Carvalho Guerra Auditorium. Porto is quickly becoming a major point of reference for start-up activity in the Iberian Peninsula. This result has been possible thanks to a combination of Porto’s distinctive features such as access to highly skilled workforce, labor and real estate cost competitiveness, and high quality of life to name a few. Yet, a variety of challenges remain for Porto to stand up at a European and international level as a major point of reference for entrepreneurship. Key leaders from institutions, VC funds and start-ups will discuss these topics aimed at increasing collaboration and creating meaningful partnerships within Porto’s digital ecosystem. Católica Porto Business School has the pleasure of inviting you to the seminar "Doing Good Model by Shari Arison and Arison Group" that will take place on the 30th of March, at 18h30 pm in Américo Amorim Building. "The Doing Good Model is a sustainable values-based business model for positive creation worldwide. It is a practical day-to-day tool for integrating values at the core of business, nonprofit organizations, communities and individuals, combining 13 fundamental human values for the benefit of society, economy, and ecology.Led by Shari Arison, owner of the Arison Group, the Model was developed by the Arison Group in partnership with a team from leading American universities: Harvard, Thunderbird, George Mason, and Babson College. Through this collaboration, the model fuses the Arison Group's practical hands-on experience with academic research and multidisciplinary study.Implementation of the model has already begun internally at the Arison Group, as a simple and practical tool for integrating values in their core activities and routine decision making processes. As part of this ongoing process, cross-organizational forums encourage active involvement at every level, enhacing values-based activities worldwide.In 2013, an Endowed Professor of Doing Good Values was established at George Mason University to further research and mold the model into an accredited curriculum." Noam has been with Miya since February 2013. Serving as Miya's VP of Strategy and Corporate Development, Noam leads Miya's M&A activities and is in charge of the group’s overall strategy. 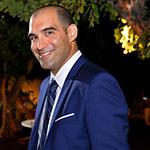 Prior to joining Miya, Noam worked for 3 years at S. Horowitz & co., a leading Israeli law firm where he specialized in the fields of public law, environmental law and corporate litigation. Noam holds an LL.B in law and government from the IDC (Interdisciplinary Center Herzliya). As part of his responsibility for the strategy of Miya and the implantation of strategic initiatives Noam is leading the implementation of the doing good model a value based model in Miya. Portugal e a/na Europa é o tema em debate no 10.º ciclo Olhares Cruzados, organizado pelo PÚBLICO e pela Católica Porto Business School. A primeira sessão tem lugar no dia 29 de março na Católica Porto Business School, nesta que será uma das quatro sessões entre o Porto e Lisboa que se prolongam até Maio. O primeiro tema, que será debatido no Porto dia 29, às 21h30, procura assim estabelecer o ponto da situação de um país “à beira mar plantado” e discutir “o desenvolvimento regional num país desigual”. Os oradores convidados são D. António Francisco dos Santos, bispo do Porto, e Helena Freitas, académica da Universidade de Coimbra e coordenadora da Unidade de Missão para a Valorização do Interior. A moderação desta sessão está a cargo de Fontainhas Fernandes, reitor da Universidade de Trás-os-Montes e Alto Douro. Entrada livre. Faça aqui a sua inscrição. Católica Porto Business School has the pleasure of inviting you to the seminar "Guinness in Africa: new branding at the base of the pyramid" that will take place on the 20th of February, at 6 pm in Américo Amorim Building. Contemporary branding relies on the immaterial and affective labor of stakeholders as resource to create competitive advantage for the brand. This research outlines a recent conceptualization of branding and illustrates with a social reading of two pan-African advertisements by Guinness: Michael Power and Made-of-Black. We find that branding in Africa depends on immaterial labor to create affect and shared meanings. This approach to branding in Africa tends to over-promise emancipatory possibilities as it maintains emblems of colonialism. The practice has many implications for doing business in Africa. Samuel K. Bonsu (PhD, University of Rhode Island) is currently the Dean (Head Servant) of the Ghana Institute of Management & Public Administration (GIMPA) Business School, Accra, Ghana. He is fortunate to have been born in Ghana where his interests in markets, culture and socio-economic development were nurtured. He has parlayed this interest into something of a career that has been supported mainly by the Schulich School of Business, York University, Toronto, Canada and the Social Science & Humanities Research Council (SSHRC), Canada. He maintains research interests in Consumer Cultures, Socio-Economic Subjectivities in Contemporary Markets, especially as they relate to Africa and Diasporan experiences that inform theoretical developments. Sammy has taught marketing and consumer behavior at the bachelor’s, master’s and doctoral levels at various universities around the world. He has been a Visiting Professor and Resident Scholar at several universities, including L'Université Lille 2 Droit et Santé, Lille, France; Hanken School of Economics, Helsinki, Finland; International University of Business Agriculture and Technology (IUBAT), Dhaka, Bangladesh and the Kwame Nkrumah University of Science and Technology, Kumasi, Ghana. around the world. His works has been published in some of the most respected academic journals including Journal of Consumer Research, Journal of Consumer Culture and the Journal of Contemporary Ethnography. He is the recent past President of the International Society for Markets and Development (ISMD), a society that brings together scholars and practitioners of development. He has been a member of Association for Consumer Research, International Association for African Business & Development and American Marketing Association. Católica Porto Business School has the pleasure of inviting you to the seminar "Brand desire: How to create consumer involvement and inspiration" that will take place on the 10th of February, at 5 pm in Américo Amorim Building. Foster innovation with particular focus on creating new categories. Oriol Iglesias is an Associate Professor at the Marketing Department at ESADE, and the Chair of the Research Group on Brand Management. Previously, at ESADE, he has also been Director of the Marketing Department, as well as Director of the ESADE Brand Institute (leading brand consultancy in Spain). Oriol has consulted and/or developed custom in company training for worldwide leadings firms such as Telefónica, Banco de Santander, Nestlé, Porsche, Sara Lee, Deutsche Bank, PwC, Ogilvy, etc. Please click here to make your registration. No âmbito da 6ª Edição da Pós-Graduação Gestão na Saúde, a Católica Porto Business School tem o prazer de o(a) convidar para o seminário “Saúde Pública Hoje”, que terá lugar no dia 15 de dezembro, no Edifício Américo Amorim, às 18h00. Faça aqui a sua inscrição. Católica Porto Business School will host the next EFMD conference about Executive Development. The event will take place in Porto on 12-14 October. How to learn in times of disruption will be the theme of the reflection. This conference is aimed at the professionals in the Executive Development sector, namely the business schools / alternative provider of executive education (executive development centres, consultants, network providers) as well as the clients (companies). Católica Porto Business School has the pleasure of inviting you to the seminar "The Digital Transformation: Rethink Your Business for the Digital Age" that will take place on the 29th of June, at 6.30pm in Américo Amorim Building. 6.35pm - Seminar "The Digital Transformation: Rethink Your Business for the Digital Age"
David Rogers, a member of the faculty at Columbia Business School, is a globally-recognized leader on digital business strategy, known for his pioneering model of customer networks and his work on digital transformation. He is author of four books, including “The Network Is Your Customer,” and his new book, “The Digital Transformation Playbook: Rethink Your Business for the Digital Age” (April 2016). The seminar has a registration fee of 20 euros that will give you the right to receive the speaker's book "The Digital Transformation Playbook"
Registration here until June 21st. The Tutorials on the theory and practice of management complement classes of the MSc in Management on its generalist branch or specialization branches. The tutorials serve also as the place for students getting to know some companies that may be involved in projects of their interest and establish contacts for the Final Work of the MSc (TFM). All students from the MSc in management are invited to be in the seminars, in spite of some of them being more directed towards some specializations and interests. Title: Data visualization with R.
This event is for all MSc students. apr 20 - Marketing and Sales Intelligence. Title: Marketing and Sales Intelligence. This event is open to all MSc students. Within the cycle of seminars of the Executive Course in Strategy and Value Creation, the Católica Porto Business School is pleased to invite you to an open lecture on the 16th of March, at 6.30 pm, in the Américo Amorim Building. This seminar is free, but registration here is required. Católica Porto Business Alumni association and Católica Porto Business School are delighted to invite you to the Former Students Annual Dinner, to be held on March 12 at 7 pm, at Palácio da Bolsa. This will be a moment of tribute to former students who complete 10 and 20 years of graduation and a unique opportunity to revisit old friends and strengthen networking ties with students and professors of the Católica Porto. It will be an honour to count on your presence and collaboration in publicising this call among other classmates in order to strengthen the network of alumni contacts. We are pleased to offer the dinner to former students who complete 10 and 20 years of Undergraduation and MBA. For other alumni and dinner companions the event is priced at €40 for members of Business Alumni and €50 for non-members. All participants must make their application by clicking here until the 6th of March. We look forward to seeing all our Alumni. Mar 4 - Seminar "Evolution of banking: Implications for banks, regulators and corporations"
João Santos is Vice President and Head of the Financial Intermediation Function at the Federal Reserve Bank of New York. He is also Professor Catedrático Convidado at Nova School of Business and Economics, and Professor Convidado at Católica Porto Business School. His research interests include financial systems design, banking, banking regulation and corporate finance. His articles have been published in various academic journals including the Journal of Finance, Review of Financial Studies, Journal of Financial Economics, Journal of Monetary Economics, Journal of Accounting and Economics, Journal of Money Credit and Banking, the European Economic Review and the Journal of Financial Intermediation. He is an Associate Editor of various academic journals including the Journal of Money Credit and Banking and the Journal of Financial Intermediation. Dr. Santos joined the Federal Reserve Bank of New York in May 2000. From 1997 to 2000 he was at the Bank for International Settlements, and from 1994 to 1997 he was the Federal Reserve Bank of Cleveland. From 1992 to 1994, he was a lecturer in the Department of Economics at Boston University. Dr. Santos received his master’s and doctoral degrees in economics from Boston University in 1995. This event is free, but registration in this link is required. Mar 2 - Seminar "Work Life Balance"
Católica Porto Business School has the pleasure of inviting you to the seminar “Work Life Balanced”, that will take place on the 2nd of March, at 6.30pm, in the Américo Amorim Building. Management counseling and mentoring; Conducting management seminars; Adjunct faculty, School of Business Management, Pondicherry University; Participating in Skill Development activities; Founder Member and Editor-in-Chief of CEO World, Portugal; Active member of local Management Association; Active blogger on a range of topics, including Management, Movies and P G Wodehouse. Senior Management; Experience of 35 years in the private sector in India; Areas exposed to - Project Management, Corporate Strategy Planning, Commercial Planning, Corporate Communications, Statutory Compliance, Indirect Taxation Planning, Internal Audit, Government Relations, Negotiation and Scrutiny of Legal Agreements of all kinds, Intellectual Property Affairs, Skill-set Mapping, Training and Development, General Administration and Management Control across diverse Profit Centers. Recognized for a quick grasp of complex management issues; also, for an above average ability to express oneself in writing. I am a strong believer in business ethics, transparency and integrity. The objective of this workshop is to discuss how manufacturers can use services to become more competitive, increase sales and profitability. The workshop is a joint initiative of the Service Management Lab and the Aston Centre for Servitization Research and Practice. Professor Tim Baines, a leading international authority on servitization and Director of the Aston Centre for Servitization will address how manufacturers can compete through servitization. Professor Rui Soucasaux Sousa, Director of the Service Management Lab, will discuss the adoption of servitization strategies in Portugal. For more information and to download the program, click here. Fev 4 - Seminar "Strategic Challenges: The case of IKEA Industry Portugal"
Within the cycle of seminars of the Strategy and Value Creation Executive Course, the Católica Porto Business School is pleased to invite you to the seminar "Strategic Challenges: the case of IKEA Industry Portugal", taking place next February 4 at 6.30 pm, in the Américo Amorim Building. 6:45 pm - "Strategic Challenges: the case of IKEA Industry Portugal"
This seminar is free to attend, but a registration in this link is required. Jan 21 - Seminar "Non-usual Residents and Trusts - How to implement a chance?" Abreu Advogados, PwC and Católica Porto Business School are pleased to invite you to the Seminar “Non-usual Residents and Trusts – How to implement a Chance?” which will take place next January 21 at 6 pm in the Américo Amorim Building. 6.15 pm - The RHN’s: a reality that works? This seminaris free to attend but registration in this link is required. Jan 20 - Conference "The German Mittelstand and the Portuguese SMES"
Jan 14 - Seminar “The Madeira International Business Zone and the Law"
Within the Post-Graduation in Management for Lawyers Course, Católica Porto Business School is pleased to invite you to the seminar "The Madeira International Business Zone and the Law", held on the 14th of January at 6:30pm, in the Américo Amorim Building. 18h30 - “The Madeira International Business Zone and the Law"
He was Secretary General (1976 - 1988), Chairman (1988 - 1994) and President of the General Assembly (2000 - 2003) of ACIF - Chamber of Commerce and Industry of Madeira. He was also a member of the boards of several other companies operating in the tourism sectors, manufacturing, real estate management and venture capital, as well as a charitable Foundation. Member of the Portuguese delegation to the Annual Conference O.I.T (1982-1986), the meetings of the "Code of Conduct Group on Business Taxation", as part of the EU Council (1998-2002); the "Forum on Harmful Tax Practices", organised by the OECD (2000-2003). President of the General Council of the University of Madeira, since January 2009. Degree in Law (UCP- Lisbon). Masters in Taxation (ISCTE). Lawyer (Partner), C’M’S’'Rui Pena & Arnaut, working in the areas of tax planning cross border operations, structuring of foreign investments in Portugal, corporate restructuring, structured finance, tax planning in the area of real estate, planning involving the application of NICs. Private equity. Linklaters, 2005-2007. Law Firm. Ernst & Young, Lisbon, 2004- 2005, Ernst & Young LLP, New York, USA, 2000-2004. A. M. Pereira, Sáragga Leal, Oliveira Martins, Judice & Associados – Law Firm, 1995-2000. This seminar is free to attend but registration in this link is required. Within the Executive Course Marketing and Sales Intelligence, Católica Porto Business School is pleased to invite you to the seminar "Negotiation - our success depends on others...” which will take place on January 13, 2016 at 6.30pm, in the Américo Amorim Building. We are all dependent on others to achieve our goals. Our ability to influence the decisions of others, what they feel, say, think or do is crucial in particular for our business success. We are able to foresee trading in a rational way, where the goal setting, preparation, management, more or less ritualised, of offers and counteroffers assumes a prominent role. And all these aspects are undoubtedly important. But the decision-making and, if you will, the business processes are not exhausted in the rational dimension. They are heavily influenced by emotional aspects and relational tuning. That is why it requires an integrated approach of business processes, enabling us to increase the efficiency with which we intervene in them - is that trading, in its broad sense, crosses the different dimensions of our lives. This seminar is free but registration in this link is required. 3 Dez - Seminário "Incentivos para a inovação - Os principais sistemas de incentivos que podem fomentar a inovação no tecido económico português"
A Católica Porto Business School tem o prazer de o/a convidar para o seminário “Incentivos para a inovação - Os principais sistemas de incentivos que podem fomentar a inovação no tecido económico português”, no próximo dia 3 de dezembro, às 18h30, no Edifício Américo Amorim. Entrada livre, mediante inscrição obrigatória aqui. Pedro Deus é licenciado em Gestão de Empresas pela Universidade Portucalense e Master in Business Administration pela Faculdade de Economia do Porto. Revisor Oficial de Contas e CISA – Certified Information Systems Auditor pelo ISACA – Information Systems Audit and Control Association. Partner do departamento de Advisory, no escritório do Porto, onde iniciou a sua atividade em 1995. Atualmente é o responsável pelas áreas de Incentives e de Data Services na firma portuguesa. Como consultor possui experiência diversificada resultante da participação em diferentes projetos, nomeadamente, em trabalhos de identificação, candidatura e acompanhamento de sistemas de incentivos financeiros e fiscais, bem como em projetos de análise de dados, com particular enfoque no tema do SAFT-PT. A Católica Porto Business School organiza uma nova edição do Career Day for Undergrads & Masters que terá lugar no próximo dia 25 de novembro. Este evento, exclusivo para finalistas das licenciaturas em economia e gestão e para os estudantes dos programas de mestrado, tem como principal objetivo aproximar este público do contexto empresarial, assumindo-se também como uma oportunidade de networking e recrutamento para as empresas presentes. O evento é constituido por dois momentos - workshops e speed interviews - e nesta edição contará com a presença de 30 empresas e cerca de 50 entrevistadores. The Católica Porto Leadership Seminars: Improving Human Resources Development is a series of talks held by international professors with sound research in leadership. The organization of these seminars belongs to the MSc in Human Resource Management and MSc in Psychology and Human Resources Development degrees, a two year programmes, with a strong focus on developing professional HR capabilities. These talks are an opportunity for students and professionals to be involved in networking activities with leading researchers in the leadership fields. The seminars are aimed at PhD and Master level students, HR professionals and project leaders. The presentation will give an overview of the current state-of-the art of Servant Leadership theory and research. Servant leadership is a relatively new field of research. According to my overall conceptual model of servant leadership, servant leadership is,displayed by leaders who combine their motivation to lead with a need to serve. It is demonstrated by empowering and developing people, by expressing humility, authenticity, interpersonal acceptance, stewardship and providing direction. After a short historical background of servant leadership, its key characteristics will be presented and the results from the most relevant studies that have been conducted so far. For further information, please click here. Dirk van Dierendonck is professor of Human Resource Management at Rotterdam School of Management, Erasmus University (RSM). His areas of expertise include leadership (notably servant leadership), positive organizational behavior, leadership development, and measurement development. Professor van Dierendonck co-founder of the Erasmus Center for Leadership Studies, and co-founder and co-organizer of the New Directions in Leadership Research conference organized by Duke University in the UK, Erasmus University in the Netherlands, INSEAD in France, and the Wharton School of the University of Pennsylvania in the USA. Currently he is the scientific director of the Erasmus Center for Human Resource Excellence. Dirk van Dierendonck is the (co)author of books, book chapters and over 70 scholarly articles published in the major academic journals including the Journal of Management, the Journal of Applied Psychology, Academy of Management Journal, Journal of Organizational Behavior, and European Journal of Work and Organizational Behavior. He received his PhD from Utrecht University in the Netherlands. A Católica Porto Business Alumni, em parceria com a Faculdade de Economia e Gestão e a Católica Porto Business School, tem como objetivo desenvolver este ano letivo um conjunto de iniciativas de dinamização da rede de antigos alunos a residir no estrangeiro. A primeira dessas iniciativas será um Encontro de Antigos Alunos em Londres já no próximo dia 20 de novembro! Se está a residir no Reino Unido ou simplesmente em Londres nesta data, não perca a oportunidade de fazer parte desta rede! Junte-se ao grupo criado no Facebook e indique-nos o seu interesse em marcar presença neste evento até ao dia 1 de novembro, clicando aqui. Finalmente, pedimos a todos a colaboração na divulgação deste evento junto de colegas a quem o mesmo possa interessar, através da partilha deste endereço e de convites para o grupo no Facebook: Business Alumni Católica Porto – Londres. A entrada no seminário é livre mediante inscrição até ao dia 10 de novembro. 12 Nov - Demand Driven MRP, o caminho para alcançar os 100% de níveis de serviço! A Católica Porto Business School tem o prazer de o/a convidar para o seminário “Demand Driven MRP, o caminho para alcançar os 100% de níveis de serviço!”, no próximo dia 12 de novembro, às 18h30, no Edifício Américo Amorim. 18h30 | Demand Driven MRP, o caminho para alcançar os 100% de níveis de serviço! Manuel Castro Hermida é licenciado em Engenharia Industrial pela Universidade de Vigo e possui um curso de Pós-graduação em Logística pelo CEL (Centro Espanhol de Logística). Possui ainda formação T.O.C. (Theory of constraint) pelo Avraham Y. Goldratt Institute Academy (New Haven, EUA). Desde Junho de 2012 é certificada como CDDP, pelo Demand Driven Institute, sendo o seu representante em Espanha. É atualmente Sócio Diretor de CMG Consultores, empresa especializada na Implantação de Processos de melhor Contínua baseando em la TOC e DDMRP (Demand Driven MRP). É ainda Professor Associado do Colégio Executivo do Instituto de Empresa em Madrid. Faça parte da rede de profissionais de Gestão de Recursos Humanos da Faculdade de Economia e Gestão. 18h30 - Seminário "Um sistema de gestão para melhorar o desempenho"
Apesar da importância, cada vez maior, atribuída à necessidade de atender aos riscos psicossociais em contexto laboral, a qual conduziu à implementação de diferentes tipos de intervenções dirigidas a prevenir e lidar com estas questões (eg. Programas de gestão do stress), a gestão de problemas de saúde mental em contexto laboral continua a ser uma área parcamente abordada no contexto empresarial Português. Considerando que a doença mental se constitui como uma das causas de incapacidade, perda de tempo profissional e de produtividade em ascensão, este Fórum pretende assumir-se como uma oportunidade única para que os empresários portugueses possam discutir, com experts internacionais, formas de lidar com problemas de saúde mental em contexto laboral. Founder of MQ: Transforming Mental Health, a specialist mental health research foundation established in with the help of the Wellcome Trust. As inscrições para este fórum devem ser efetuadas aqui. - Organizações: grandes falhanços, grandes vitórias, mortes lentas e anunciadas; - Porquê a cultura como a estratégia ao pequeno almoço? - Fundamentos de Liderança Esquecidos. Os participantes deverão trazer um almoço ligeiro, estilo piquenique. Roberto Leão - Licenciado em Sociologia pela Universidade do Porto, com foco em Sociologia das Organizações e do Trabalho. Cofundador e presidente do Clube de Empreendedorismo da Universidade do Porto (CEdUP). Trabalhou na Sonae em gestão de projetos de Recursos Humanos, Comunicação Interna e Inovação por quatro anos. Desde 2012 atua na área de Gestão de Pessoas da EDP Brasil (São Paulo), atualmente enquanto gestor de Desenvolvimento de Pessoas. Complementou estudos com formação executiva em Gestão de Projetos (Porto Business School), Gestão Estratégica de RH (FIA – Universidade de São Paulo) e Gestão Avançada (Amana Key). Orador de conferências de Gestão e Gestão de Recursos Humanos (ex. AIESEC Young Business Forum SP ou GRUPISA, ES e RJ). O seminário tem um custo de 10€ que reverte na totalidade para a Encontrar+Se. Este donativo beneficia de Benefícios Fiscais (Estatuto dos Benefícios Fiscais, art. 61º a 66º). Faça a sua inscrição aqui. O pagamento dos 10€ deverá ser efetuado por transferência bancária para o NIB: 0010 0000 37671460001 03 (Banco BPI) e o comprovativo deverá ser enviado para o seguinte email: geral@encontrarse.pt. Um em cada cinco trabalhadores sofre de perturbações mentais, como depressão ou ansiedade, o que torna as doenças mentais num problema crescente no local de trabalho”(OCDE, 2011, Relatório 'Doença no trabalho? Mitos e realidade sobre saúde mental no trabalho'). Contribuir para a sensibilização da comunidade e promover a procura precoce de ajuda, é fundamental para promover a produtividade, o bem estar dos trabalhadores e reduzir os custos diretos e indiretos associados à doença mental. A Católica Porto Business School e as revistas Marketeer e Viagens e Resorts organizam o seu primeiro Fórum Turismo. 6 Out - Workshop "Hot Spots de Comunicação"
No âmbito dos ciclos de seminários da área de Capital Humano e Liderança, a Católica Porto Business School tem o prazer de o(a) convidar para o workshop “Hot spots de comunicação”, no próximo dia 6 de outubro, às 09h00, no Edifício Américo Amorim. Uma sessão prática onde, ao longo de duas horas, vamos explorar alguns dos aspetos que mais contribuem para expressar ideias com sucesso. Neste workshop irá ganhar uma nova perspetiva sobre alguns dos seus hot spots de comunicação e eventualmente adquirir uma ou outra técnica para fundar os seus skills de comunicação. 09:15 - Workshop "Hot spots de comunicação"
Este workshop será dinamizado por Carolina Menezes. Devido à dinâmica que se pretende obter no workshop, o número de participantes é limitado. Agradecemos que proceda à sua inscrição e/ou convide os elementos da sua empresa que mais possam beneficiar. No âmbito do Ciclo de Seminários em Braga, a Católica Porto Business School e a Católica Braga têm o prazer de o/a convidar para o seminário “Sistema de Gestão do Desempenho: mito, panaceia, fracasso...ou motor da criação de valor”, no próximo dia 7 de outubro, às 18h00, no Campus Camões (Católica Braga). Confirme a sua presença, até dia 6 de outubro, através do email sabreu@braga.ucp.pt. No âmbito do Executive Master em Gestão de Saúde, a Católica Porto Business School tem o prazer de o(a) convidar para o workshop "VITAL: Revolução de um radar de informação na gestão e decisão clínica" no dia 03 de julho, das 17h00 às 20h00, no Edifício Américo Amorim. Este workshop será dinamizado por José Pedro Almeida, Gestor de Projeto de Clinical Intelligence do Centro Hospitalar de São João. Esta plataforma tecnológica do Centro Hospitalar de São João (CHSJ) permite analisar e correlacionar uma quantidade maciça de dados relativos ao estado clínico de cada paciente, dispersos por dezenas de sistemas de informação do Centro Hospitalar, assim como identificar, categorizar e alertar precocemente as equipas clínicas para pacientes que estejam em risco, sendo capaz de ajudar a antecipar as entradas em Unidades de Cuidados Intensivos nos sete dias antes do evento ocorrer. O projeto, existente desde 2012, foi já distinguido com inúmeros prémios nacionais e internacionais, entre os quais o primeiro prémio mundial "Microsoft Health Users Group Innovation Awards 2014". A Católica Porto Business School e a Câmara do Comércio e Indústria Luso-Alemã têm o prazer de o(a) convidar para o seminário "Only a united Europe will be a strong Europe" que irá realizar-se no dia 03 de março, às 10h00, no Edifício Américo Amorim. Este seminário será ministrado em Inglês. Faça a sua inscrição, sujeita a confirmação, através do email catolicabs@porto.ucp.pt. 2014-02-14 - Turismo, Crise e Mundialização – que Futuro? A Católica Porto Business School tem o prazer de o(a) convidar para o seminário "Turismo, Crise e Mundialização – que Futuro? ", que irá realizar-se no dia 14 de fevereiro, às 18h00, no Edifício Américo Amorim. 18h15 | Turismo, Crise e Mundialização – que Futuro? No âmbito do Executive Master em Gestão na Saúde, a Católica Porto Business School tem o prazer de o(a) convidar para o seminário "O Serviço Nacional de Saúde: Evolução e Desafios" que irá realizar-se no dia 10 de janeiro, às 18h30, no Edifício Américo Amorim. 2013-09-16 - Seminário: "Criar e Gerir um Negócio Online"
A integração com os restantes canais e novas tendências. 2013-07-17 - Seminário: "(In)Segurança das normas fiscais e cláusulas anti-abuso"
A Católica Porto Business School tem o prazer de o convidar para Seminário de Fiscalidade intitulado "(In)Segurança das normas fiscais e cláusulas anti-abuso" que terá lugar no dia 17 de julho, às 18h15 horas, no edifício Américo Amorim, sede da Escola. 2013-07-10 - Seminário: "Atrair e Desenvolver Talentos"
A Faculdade de Economia e Gestão da Católica Porto, por ocasião do lançamento do seu novo Mestrado em Gestão de Recursos Humanos, com início em setembro de 2013, tem o prazer de convidar V. Exa. a participar na palestra "Atrair e Desenvolver Talentos", no dia 10 de julho, das 18:30 às 20:00 horas. O orador convidado é o Dr. Paulo Renato Pereira, Human Capital Director da SALSA. A atração e o desenvolvimento de talentos coloca na atualidade às empresa desafios específicos, nomeadamente em contexto internacional. É uma situação que muitas empresas equacionam e que se acentua com o enfrentamento da crise económica interna. Para além do desenvolvimento do tema e da identificação de práticas de referência, haverá oportunidade para partilhar a experiência da Salsa e de obter esclarecimento com o responsável máximo pela gestão destes processos nesta empresa. 2013-07-09 - Seminário: "McDonald's: Produtos Globais ou Locais? O caso Português"
A Católica Porto Business School tem o prazer de o convidar para o próximo seminário de marketing intitulado "McDonalds´s: produtos globais ou locais? O caso português", que se irá realizar no dia 9 de julho às 19h00 no Auditório Carvalho Guerra, no edifício central da Católica Porto. 2013-06-26 - Seminário: "As sondagens eleitorais em Portugal: diagnóstico e desafios"
A Católica Porto Business School tem o prazer de o convidar para o próximo seminário intitulado "As sondagens eleitorais em Portugal: diagnóstico e desafios", que se irá realizar no dia 26 de junho às 18h30 no Edifício Américo Amorim, sede da escola. As sondagens tornaram-se um elemento omnipresente da cobertura noticiosa da política nas democracias desenvolvidas em geral e em Portugal em particular. O que podemos aprender na base de uma análise do seu "desempenho"? Que desafios se colocam para a melhoria da sua fiabilidade e da discussão dos seus resultados na esfera pública? E que implicações tem esta discussão para os métodos do inquérito amostral em geral? Para debater estes temas contaremos com a presença de Pedro Magalhães, Investigador do Instituto de Ciências Sociais da Universidade de Lisboa. 2013-06-19 - Seminário "Controlo de Gestão: Round Table com especialistas em Controlo de Gestão"
Acreditamos que contextos económicos como o atual reforçam e colocam novos desafios às competências necessárias para a execução da estratégia. Esses novos desafios encontram resposta em modelos integrados de controlo de gestão, os quais tenham em consideração a realidade diferenciada de cada organização e não se baseiem em soluções de one-formula-fit-all. É com esta convicção que a Católica Porto Business School, por ocasião do lançamento do seu novo curso Controlo de Gestão: da Estratégia à Ação, com início em Outubro de 2013, tem o prazer de convidar V. Ex.a a participar num ciclo de seminários dedicados à problemática da execução da estratégia. O objetivo principal deste ciclo de seminários é partilhar algumas visões e melhores práticas sobre modelos integrados de controlo de gestão, através da intervenção de especialistas na sua implementação. Para a terceira e última sessão do ciclo de seminários a realizar no dia 19 de Junho (18h30-20h), contamos com a participação do Dr. Fernando Almeida (Corticeira Amorim, SGPS), do Dr. Manuel Ferreira (Auto-Sueco, S.A.) e do Dr. Pedro Pinho (Lactogal, S.A.). A sessão será conduzida sob a forma de um Round Table em que serão partilhadas as experiências dos convidados, as suas opiniões sobre a adaptação dos sistemas de controlo de gestão ao actual contexto económico e sobre as oportunidades futuras de desenvolvimento destes sistemas. 2013-06-14 - Conferência "A importância da árvore nos vários universos religiosos"
2013-06-04 - Seminário "Rituals - Building a New Brand"
A Católica Porto Business School tem o prazer de o convidar para o próximo seminário de marketing intitulado "Rituals - Building a New Brand", que se irá realizar no dia 4 de junho às 19h00 no Auditório Carvalho Guerra, no edifício central da Católica Porto. 2013-05-23 - Seminário: "Fusões e Aquisições numa Perspetiva Legal"
A Católica Porto Business School, em parceria com a PwC e com a Uría Menéndez-Proença de Carvalho, está a organizar um ciclo de seminários subordinado ao tema "Fusões e Aquisições na Conjuntura Atual". Depois de abordarmos o tema numa perspetiva financeira, no passado dia 21 de março, e numa perspetiva fiscal no dia 18 de abril, o último evento deste ciclo terá lugar no próximo dia 23 de maio com início às 18h30 e terá como objetivo analisar as Fusões e Aquisições na Conjuntura Atual numa Perspetiva Legal. 2013-05-15 - Seminário: "HOBE - uma plataforma de benchmarking"
A Católica Porto Business School tem o prazer de o convidar para o próximo Seminário de Gestão de Unidades de Saúde intitulado "HOBE - uma plataforma de benchmarking", que se irá realizar no dia 15 de maio às 18h30 no Edifício Américo Amorim, sede da escola. 2013-05-13 - Seminário: "Marketing Internacional: como gerir os desafios do mercado global"
A Católica Porto Business School tem o prazer de o convidar para o próximo Seminário de Marketing intitulado " Marketing Internacional: como gerir os desafios do mercado global ", que se irá realizar no dia 13 de maio às 19h00 no Auditório Carvalho Guerra. 15 dez - Seminário "Banca e Advocacia: A Responsabilidade Civil dos Auditores e Reguladores em casos de insolvência"
No âmbito da Pós-Graduação Gestão para Juristas, a Católica Porto Business School e o Conselho Distrital do Porto da Ordem dos Advogados têm o prazer de o(a) convidar para o seminário “Banca e Advocacia: A Responsabilidade Civil dos Auditores e Reguladores em casos de insolvência”, no próximo dia 15 de dezembro, às 18h30, no Edifício Américo Amorim. Professor da Faculdade de Direito da Universidade do Porto e Professor Convidado da Faculdade de Direito da Universidade Católica Portuguesa - Lisboa. Doutorado pela Faculdade de Direito da Universidade de Lisboa. Mestre pela Faculdade de Direito da Universidade de Coimbra. Licenciatura em Direito pela Universidade Católica Portuguesa - Porto. Advogado. Autor de diversos livros e publicações. Licenciado em Direito e Mestre pela Faculdade de Direito da Universidade Católica Portuguesa - Porto. Advogado, Partner na Telles de Abreu & Associados. Licenciado em Direito, Mestre e Doutorando pela Faculdade de Direito da Universidade de Coimbra. Pós-Graduado em Ciências Jurídico-Empresariais pela Faculdade de Direito da Universidade Católica Portuguesa - Porto. Advogado, MSP - Sociedade de Advogados RL. Vice-Presidente do Conselho Regional do Porto da O.A. Why Católica Porto Business School?